Adds seven new shades of brown/amber/hazel eye colours. Please either contact me here or on Tumblr if you want to use these in your own mod/s. There's no reason why you couldn't, I would just appreciate knowing. Please do not redistribute here or on another site. 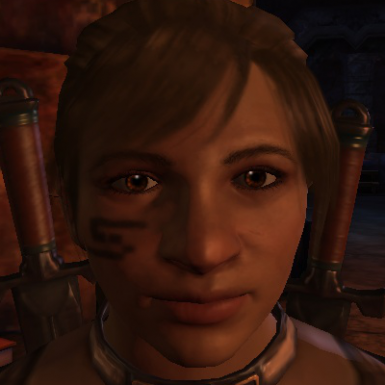 All the eye colour mods always have ten different shades of blues and/or greens, but never much for browns and their branch-offs. 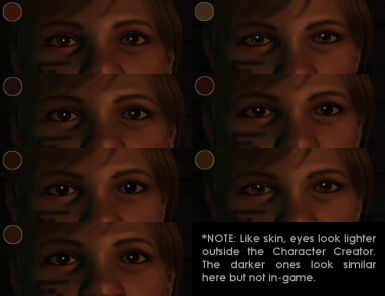 Considering over 50% of the world population has brown eyes, I decided to figure out how to make some. Remove the file folder, and remove the above lines from your chargenmorphcfg. I would very much appreciate any advise you have to give me, as I am extremely new to all this.